Quantity: 11 available Want more than 11? Each $73 display contains 24 draft boxes. Each draft box contains 12 packs. 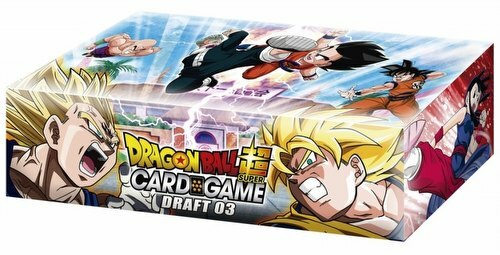 Each Dragon Ball Super Draft Box 3 contains 12 World Martial Arts booster packs, 12 Colossal Warfare booster packs, 4 new leader cards, a Volume 4 tournament pack, and a storage box. Each booster pack contains 12 cards. There are 4 different leader cards to collect.